Hey there everyone! 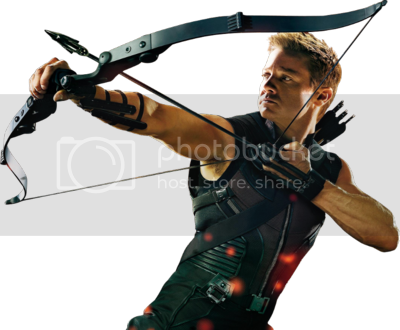 I've been lurking the forums here for the past month until I decided it was finally time to create an account. I don't see a whole lot of discussion here recently, but it's still really interesting to look at some of the older posts and your collections. 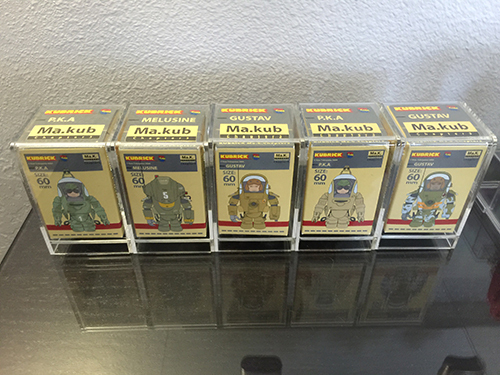 I assume that most of the silence is due to the lack of new kubricks from medicom, but maybe I can encourage some of you to share your collections and acquisitions here! Many years ago I was first introduced to Kubrick by my uncle, who got me one Maschinen Krieger figure, and one Special Force. At the time I was very young and didn't have much interest in them, though I always admired their very detailed, lego-esque style. Unfortunately I've lost my old kubricks, but now I've reacquired them through eBay! Now that Star Wars has been revitalized with a new trilogy, I have found a new fondness for their kubricks. 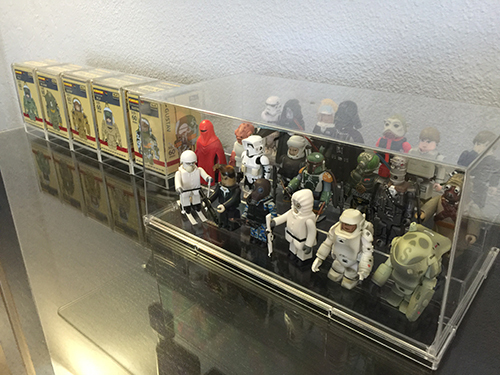 I began with an interest in only Boba Fett, but I quickly realized kubricks aren't that simple, and very addicting! In fact I have already purchased 9 of them before even getting Boba Fett (waiting on the price to get a little less steep, but I might just cave in). 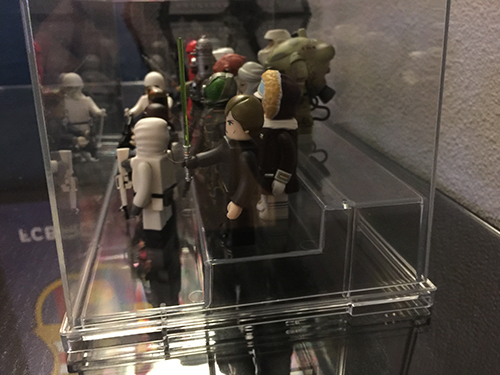 I currently have 9 Star Wars kubricks (listed below with how much I paid), and I also have a small display case that should be delivered soon (when I receive this, I will start posting photos). All of these were sealed and came in their original box. 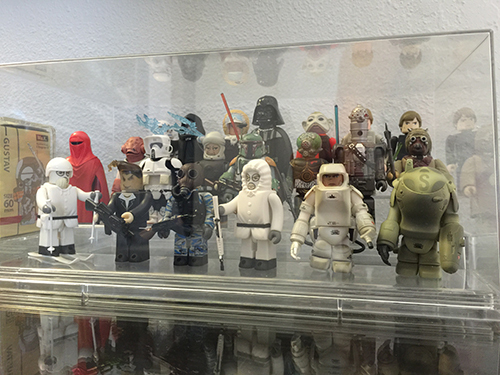 If you have any star wars kubricks that you'd like to sell me, please contact me! I'm mostly interested in only series 1-7 at the moment. But that's all for now, thanks for allowing me inside your community! Also, what do your collections look like? Have any photos? Recent acquisitions? 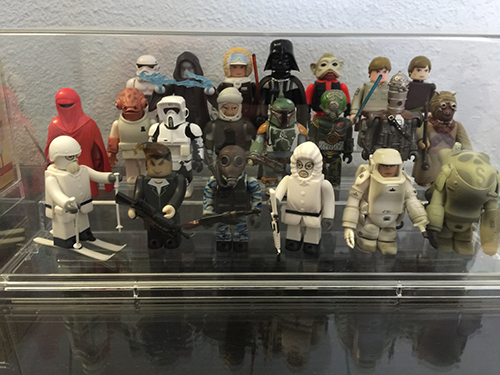 Here's an update of ALL my kubricks in the new display case that came in today! I'm also waiting on Boba Fett series 1 to arrive, and 5 sealed Maschinen Krieger Chapter 3 kubricks that I got for a steal of a deal. Welcome aboard man... I wasn't ever a Kubrick guy, and I think the interest in them has trailed since the line's kinda in limbo it seems, but awesome to see your collection. They seem like they were a sound investment too. A rarity in the toy world. Kubricks are awesome! I miss collecting these, expensive as it was. 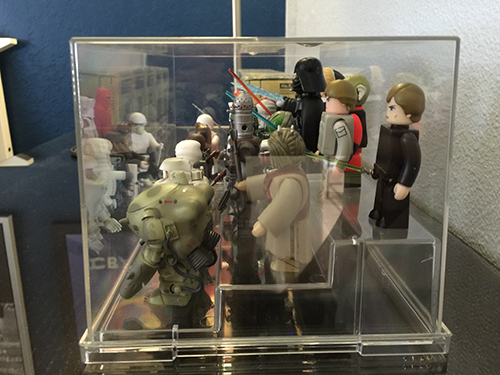 I like your display box for them. I have a bunch of regular series and chase extras if you're interested. I'll try to pull a list together in the next week or two. Thanks guys! Yea JediJMan, I would be interested in the regular series, probably not the chase figures just yet. I'm mostly looking for a Bossk and Zuckuss right now. I've got a spare Bespin Lando and Carbonite Han if you're interested. I think if I get those, I would prefer to buy them with the complete set since it's slightly cheaper. Quick Update to the collection; here's what I recently acquired.. This was a real shock for me, as each figure itself goes for $25+, and here was 5 of them and with custom acrylic cases from AFA (also about $25 each), however the package did smell like cigarette smoke when I first opened it - which I cleaned and can no longer smell. 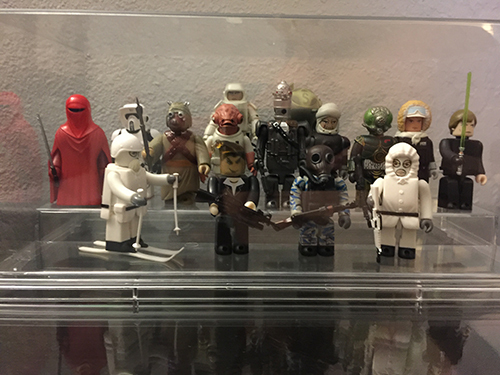 Now I'm just waiting for Bossk to arrive whom I ordered just the other day, which leaves me in need of only Zuckuss to complete the Series 1 regulars (I don't collect chase figures). If you happen to have an extra one, please contact me. 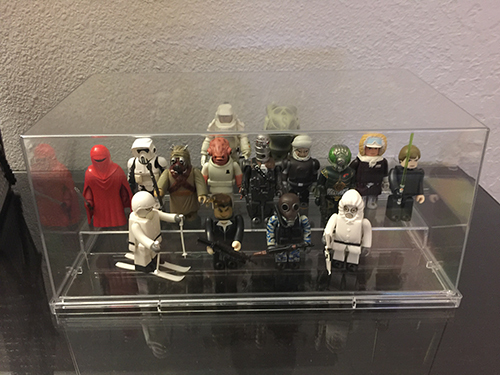 Once I have the courage to buy another set, I plan on replacing the bottom row of Special Forces so that the entire case is just Star Wars! ahhh I remember when I started! Enjoy them!